Frankie Gould, You're Not in Kansas Anymore, Toto, Prismacolor pencil on paper, 12.5 x 15.5 in. 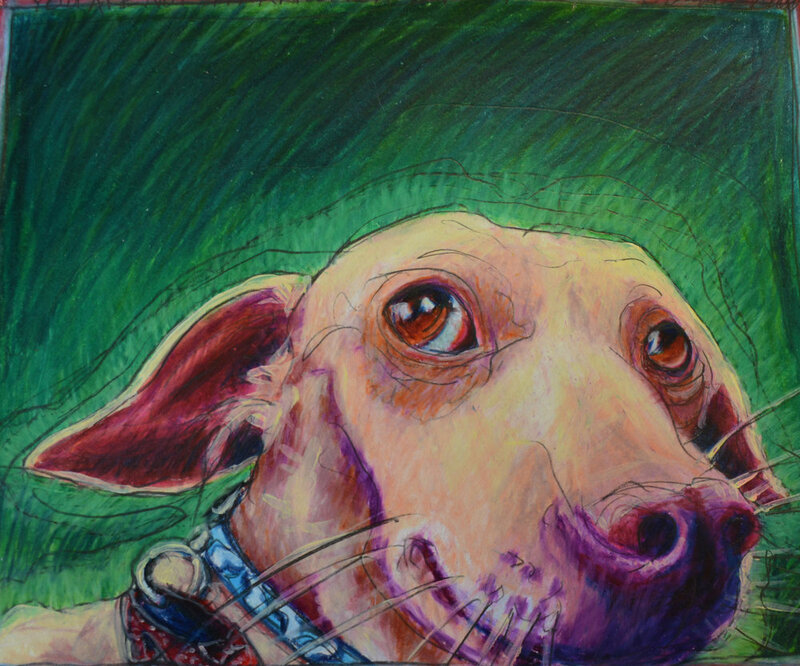 Inspired and dazed by the character, personality, elegance, and whimsy that dogs possess, Frankie Gould explores our relationship and companionship with our furry friends in her October exhibition, Dog Daze. Gould’s work, whether literal or abstract, is about the attraction of seductive shapes, bold colors, lines and textures, all with a definite element of whimsy. She works using a variety of medias, including acrylics, colored pencils, mixed media, watercolor, scratchboard, block prints, and sculpture. Her work is in the collections of Buena Vista College, Sheldon Memorial Art Gallery and the University of Nebraska.In conjunction with her accomplished art career, Gould is the director and professor of Communications and Public Relations at the LSU AgCenter. In addition to administration and leadership, Gould’s professional experience has been in public relations, crisis communication, graphic design, multimedia, publications and Web development.